Say that three times fast. 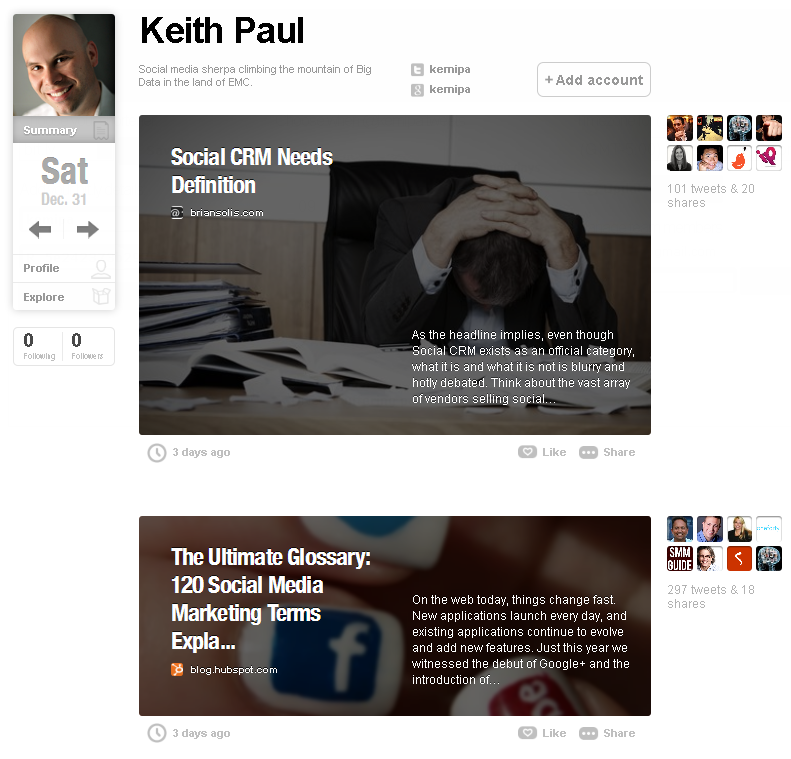 These tools are a few I’ve experimented with to see how they might help with tweet delivery. Features range from auto-scheduling tweets for peak times when your following is, well, following to some basic insights to alternative packaging of content. All have powerful features that help you listen to the chatter and hone your message to grow a targeted following. Give ’em a try, they’re free! Buffer helps share content on a schedule optimized for your followers. Collect and share from anywhere, including from a mobile device or through browser plugins. Crowdbooster analyzes and recommendations show you how you can better reach important influencers, create content that resonates with your audience, and send content at the most effective times. Summify creates a daily summary of the most relevant news from your social networks, and delivers it to you by Twitter, email, web or mobile… a great way to consume content from your tweeps. Paper.li can take news from Twitter, Facebook, Google+, or RSS to create a very customized look at “news” as reported by your social networks. 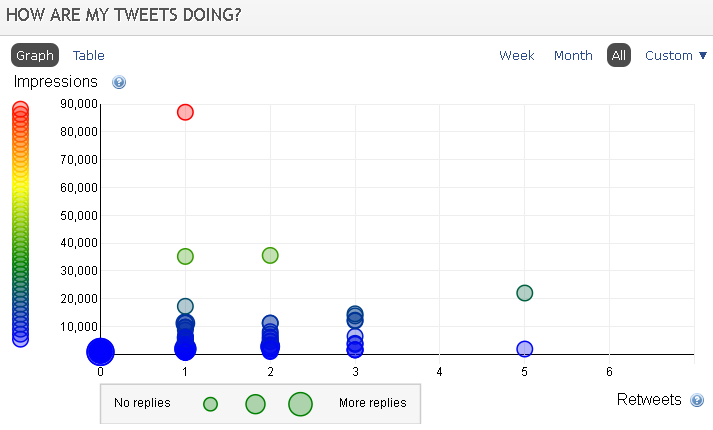 Using my own example, my Twitter following creates a somewhat broad look at topics I’m interested in reading about. 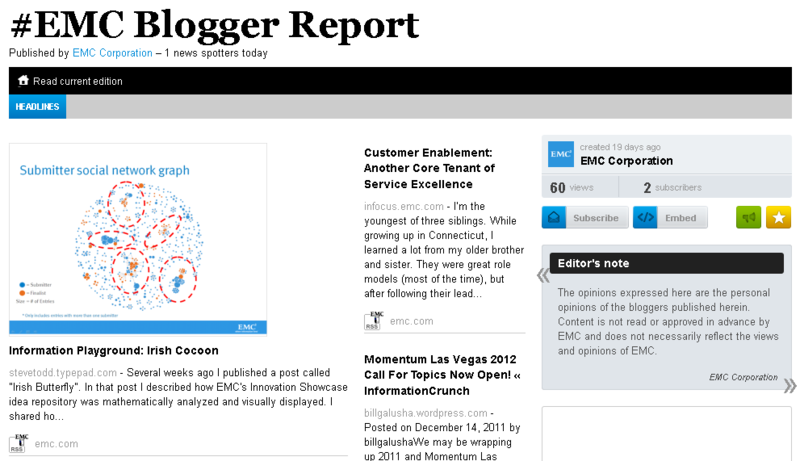 For EMC, I restrict the feed to highlight EMC’s rockstar bloggers.